One of the first things a client will ask for when thinking about their new garden is all year-round interest, and what they usually mean by this, is colour. Colour is one of the most powerful and dramatic elements in any design. It evokes many emotions, creating a sense of calm or generating energy. Understanding how colour works is core to a good garden designer’s skill. It is fascinating how a colour can have completely different effects when it is used in various situations. When yellows and limes are planted with deep purples and lilacs, a luminous quality is created, especially in semi-shade. 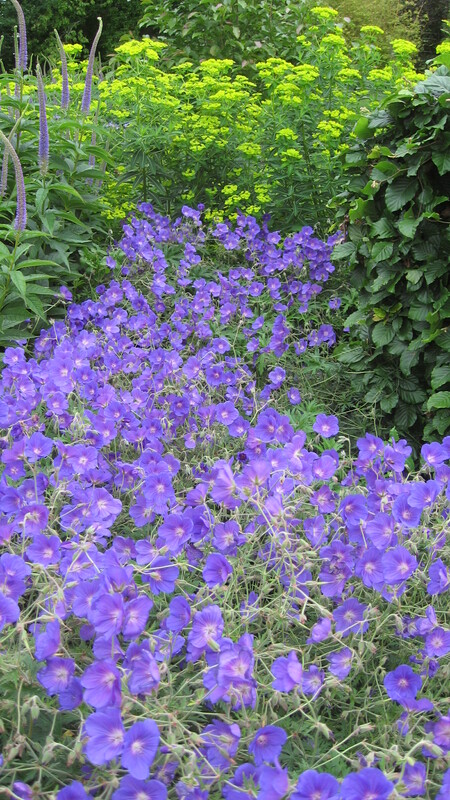 Blue, a calming colour when planted with more vibrant colours becomes vibrant itself if planted with more sombre mauves and purples. Colour can also help create illusions in the garden. Cool colours appear to recede making an area appear larger. Planting variegated or yellow leaved plants in a shaded woodland area gives the appearance of sunlight dappled through the trees. 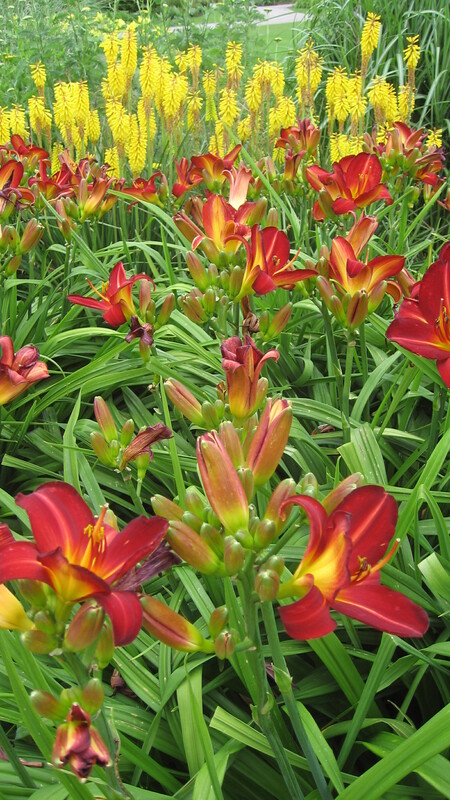 At Accent Garden Designs we know the importance of making sure your garden stays colourful throughout all seasons and are committed to making this a reality through creating interesting plant combinations. By choosing the right plants and colours, then positioning them for best impact, your garden can not only be kept beautiful throughout the year but will change with the seasons to stay interesting and surprising. When thinking of colour, we often just think about flowers. The truth is that flowers only last a relatively short period of the year. It is therefore more important to develop interest through the colour and textures of foliage. For example, silver leaves look quite mystical in the fading evening light and the foliage of a tree such as Acer disectum, whose rich purples and reds can give a garden a regal presence, become even more dramatic when planted alongside glaucus blue, acid green or variegated cream foliage. In design, the use of these techniques helps the designer to manipulate a vista in the garden, drawing the eye to focal points, create moods, make the garden look larger than it is and to highlight areas of interest throughout the seasons. Spring and Summer is not the only domain of colour, some of the most dramatic colours can be seen in Winter and of course in Autumn. 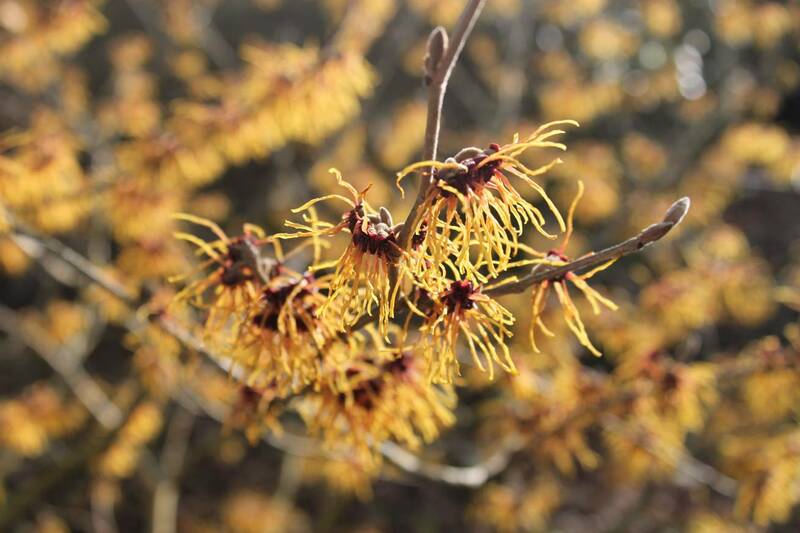 The wonderful winter flowering witch hazels with their spidery yellow, orange and red flowers, heavy with spicy scent are a good example. The fabulous scarlet and acid green barks of Cornus and Salix looking quite wonderful against the snow. 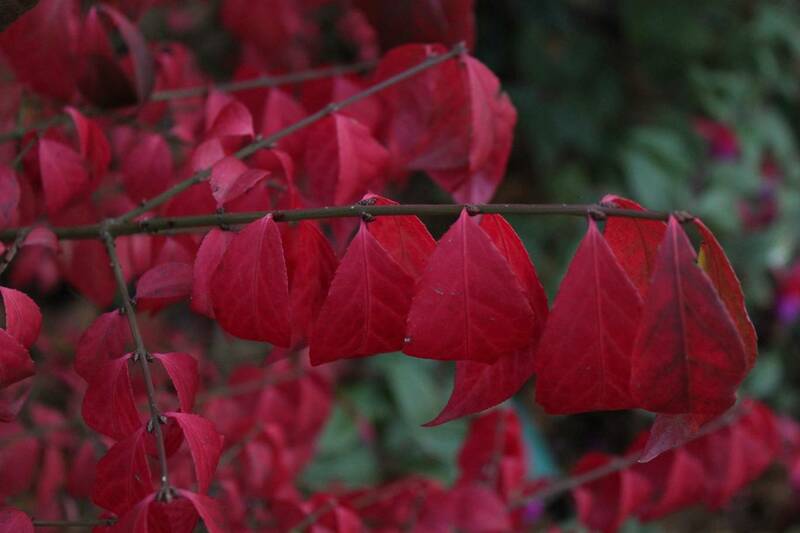 Autumn’s celebration of colour in the garden is clearly through the dramatic change in leaf colour of our trees and shrubs, highlighted by the Acers and the amazing vermillion leaves of Euonymus alatus to mention just two. Colour management is a core principal of what we do at Accent Garden Designs and with an understanding of what you like in your garden coupled with the time and care put into creating great plant combinations and carefully crafted planting plans ensure that our clients do indeed enjoy the magic of colour all the year round.